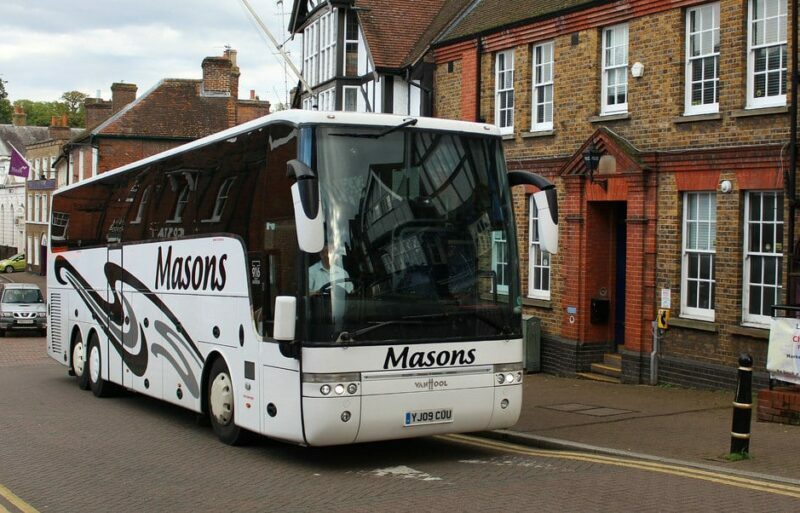 Masons specialise in everything from coach and minibus hire to coach trips and commercial vehicle servicing throughout Tring. We provide local and convenient pick-ups around Tring, ensuring that your time with us is enjoyable and stress-free, right from the very beginning. Specialising in travel for groups and large parties, our coach hire and minibus hire are the perfect travel solutions for weddings, school trips, breaks away and so much more. Holding 30 years’ experience in the travel industry, we pride ourselves on the quality of our travel services and our affordable rates. Our staff are reliable and friendly, and on hand to make your journey as comfortable and stress-free as possible. Located just 11 minutes from Tring, we are able to offer our Minibus Hire, Coach Hire and Coach Trips within this area. To view our upcoming coach trips visit our Days Out & Holidays calendar, or browse our brochure. If you would like to find out more information on our services, give us a call on 01296 661604. Alternatively, you can fill out our online contact form today, and a member of the team will be happy to assist.